Homprang ,who's in her late 50's as of 2015 , grew up in Kanchanaburi , a small village near the Burmese border, in northern Thailand. Until the age of 20, her and her family had no electricity, there were no paved roads and they didn't use money. The only healer in the village was her grandmother ,Paht, who was the village's mid wife, used therapeutic Thai bodywork/ acupressure points to cure various aliments for the local people and was the mother of 17 children, including Homprang's father. Illiterate, Paht was trained in plant identification, medicinal preparation, diagnosis and treatment by her own mother. Homprang served as an assistant to her grandmother from the age of 9, gathering and preparing all the medicinal plants instead of playing with the other children. At the age of 19, she helped deliver one of her sisters. Homprang is one of the strongest, empowered woman I've ever encountered. Today, Homprang and her husband Christopher live at and operate Baan Hom Samunphrai (house of the sweet smelling herbs) in Chiang Mai, Thailand. They have created a beautiful oasis just outside the main city where people can go to receive or learn Thai Yoga Bodywork, have a daily herbal steam bath where a basket of fresh herbs is placed over steam inside a wooden sauna, or simply just enjoy the lush quiet gardens of Baan Hom. On the property they grow mango, jackfruit, various kinds of turmeric and ginger, tea tree and many other medicinal herbs that she uses therapeutically. Homprang and her staff teach and treat people from all over the world. 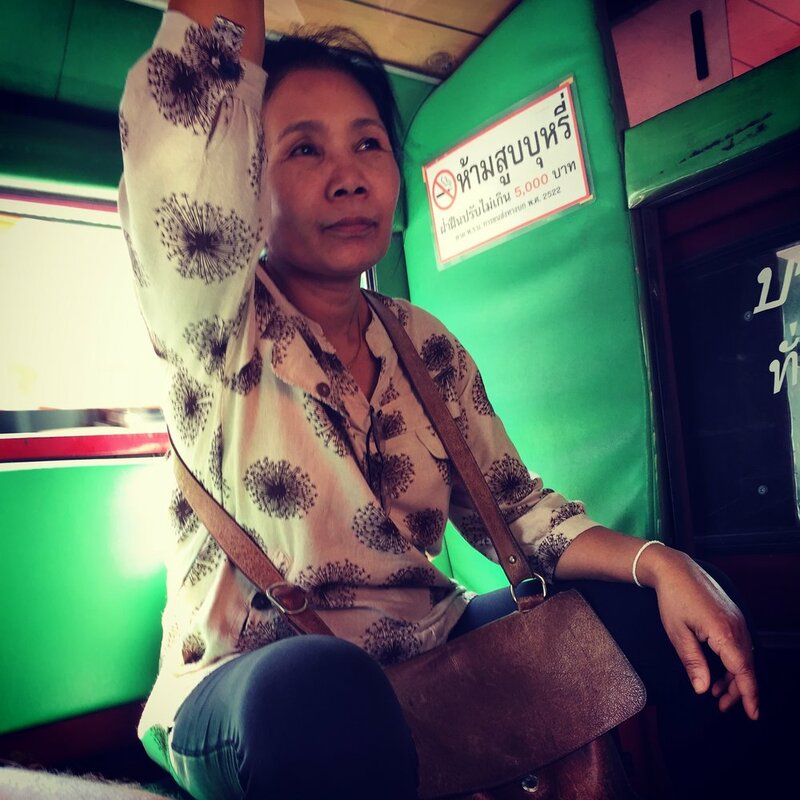 She combines the ancient medicinal knowledge her grandmother instilled in her with Traditional Thai Yoga Bodywork. She is a registered Traditional Thai Medicine doctor, Herbalist, Mid wife , Womb lifting specialist (a preventative service for women and men's reproductive health) and a Thai Yoga Bodywork master, just to name a few. Being her student is a beautiful, unique and authentic experience you can't find anywhere else. Sharon and David met in New York City in 1983 and in 1984 developed Jivamukti Yoga. In their travels to India they met their teachers Swami Nirmalananda and Shri K. Pattabhi Jois. 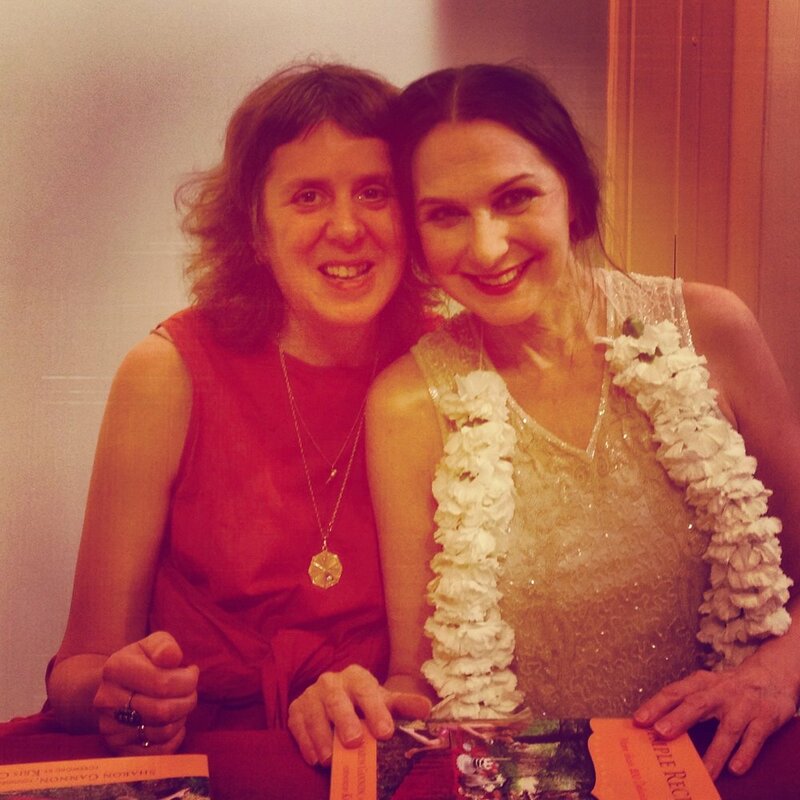 Later on they met Brahmananda Saraswati, founder of the Ananda Ashram in upstate N.Y. Each of their teachers guided them further on their individual spiritual paths and their teachers teachings helped shape the development of Jivamukti Yoga. "As a path to enlightenment through compassion for all beings, Jivamukti Yoga is grounded in the original meaning of the Sanskrit word asana as “seat, connection” - relationship to the Earth. Earth implies all of life. Citing Patanjali’s Yoga Sutra, which states that asana should be sthira and sukham, Jivamukti Yoga maintains that one’s relationship to others (asana) should be mutually beneficial and come from a consistent (sthira) place of joy and happiness (sukham). This is a radical idea that, when put into practice, can dismantle our present culture, which is based on the notion that the Earth and all other animals exist for our benefit and to be exploited for our own selfish purposes. So the practice of asana becomes more than mere physical exercise to keep one’s body fit or to increase strength or flexibility; it becomes a way to improve one’s relationship to all others and thus lead to enlightenment - the dissolution of the sense of separateness, the realization of the oneness of being, the discovery of lasting happiness. This core philosophy is expressed through five tenets which form the foundation of Jivamukti Yoga. Jivamukti teachers embody these tenets, so that they color all of his or her teachings, whether in basic classes, open classes, other classes, workshops, or even just interactions with others in the Jivamukti community. In classes other than Open classes, the teacher does not necessarily teach the five tenets explicitly or even state them out loud. In an Open class, however, the five tenets have a special role, because it is part of the teacher’s job to give the students an experience of all five tenets in each Open class, though again not necessarily by teaching them explicitly or even stating them out loud, but by allowing them to inform the class plan and teaching style. Each of the five tenets should be clearly identifiable in every Open class, even though the names of the tenets may not actually be spoken. 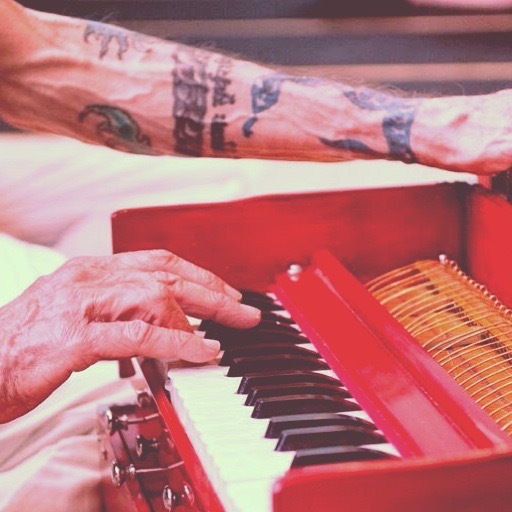 By doing this, students learn not to see asana as separate from spiritual study or chanting or meditation, but rather to integrate all of the elements that make up Jivamukti Yoga into one unified practice. This provides for a well-rounded approach to our goal—enlightenment through compassion for all beings."